Sylvia Chan-Olmsted teaches brand management, consumer and audience analytics, media research, and media management at both graduate and undergraduate level. Her research expertise includes digital/mobile media consumption, branding, and strategic competition in emerging media/communications industries. Her current studies involve the development and marketing of mobile media content and platforms, cross-platform audience behavior and media strategy, and branding via social/mobile media, especially in the context of young adult consumers. Dr. Chan-Olmsted has conducted consumer research and consulted for Google, Nielsen, National Association of Broadcasters, the Cable Center, and the Center for International Business Education and Research. 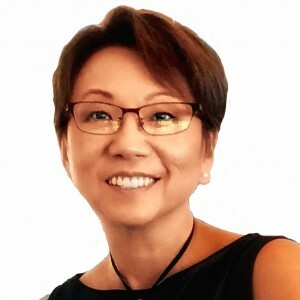 Recipient of over 20 national and international research awards, Dr. Chan-Olmsted holds the Research Foundation Professorship and the Al and Effie Flanagan Professorship at the University of Florida and is the recipient of the 2014 Award of Honor presented by the Journal of Media Economics for scholarly contribution to the field. Dr. Chan-Olmsted is the author of the book, Competitive Strategy for Media Firms and co-editor of two books, Media Management and Economics Handbook and Global Media Economics. Her book won the prestigious Most Significant Contribution to Media Management and Economics Award from the U.S. Association for Education in Journalism and Mass Communication. She has published over 80 refereed articles in the Journal of Broadcasting and Electronic Media, Journalism & Mass Communication Quarterly, Telecommunications Policy, Mobile Media & Communication, New Media and Society, Journal of Marketing Communications, Journal of Media Economics, International Journal on Media Management, and others. Chan-Olmsted, S.M., & Xiao, M. (in press). Smart sports fans: Factors influencing sport consumption on smartphones, Sport Marketing Quarterly. Chan-Olmsted, S.M., & Wang, R. (in press). Shifts in consumer engagement and media business models, in Deuze, M. & Prenger, M. (Eds. ), Making Media: Production, Practices, and Professions. Chan-Olmsted, S.M., & Wang, R. (in press). Branding: Media brands and brands as media. In Rimscha, B. & Kienzler, S. (Eds. ), Management and Economics of Communication. Xiao, M., Wang, R., & Chan-Olmsted, S.M. (2018). Factors affecting YouTube influencer marketing credibility: A heuristic-systematic model, Journal of Media Business Studies, DOI: 10.1080/16522354.2018.1501146. Chan-Olmsted, S.M., & Xiao, M. (2018). Factors affecting smartphone dependency of media consumers, International Journal of Mobile Communications, DOI: 10.1504/IJMC.2019.10011898. Chan-Olmsted, S.M., Wolter, L., & Xiao, M. (2018). Defining, conceptualizing, and assessing the practice of branded content as a marketing communications strategy, Transfer Zeitschrift – Werbeforschung & Praxis (Periodical in advertising, communication and brand management), 18-30. Chan-Olmsted, S.M., & Wolter, L.C. (2018). Perceptions and practices of media engagement: A global perspective, International Journal on Media Management, DOI: 10.1080/14241277.2017.1402183. Chan-Olmsted, S.M., & Xiao, M. (2018). Multiplatform media use and media consumers. In Albarran, A., Mierzejewska, B., & Jung, J. (Eds. ), Media Management and Economics Handbook, pp. 317-332. Chan-Olmsted, S.M., Wolter, L., Kresin, T., Schwartz, S., & Seemann, A. (2018). Employer branding in the digital industry: Successful communication with digital talents of tomorrow. In Fortmann, H., & Kolocek, B. (Ed. ), Working World of the Future: Labor Market, Organization, Employees, and Skills. Chan-Olmsted, S.M., & Wolter, L. (2018). Emotional engagement in a new marketing communication environment. In Johnson, K., & Taylor, M. (Ed. ), The Handbook of Communication Engagement, pp. 421-438. Chan-Olmsted, S.M., & Su, L. (2017). Relationship between advertising and consumption in China: Exploring the roles of economic development and mass media, Global Media and China, https://doi.org/10.1177/2059436417744368. Chang, B., Kwon, S., Nam, S., Chan-Olmsted, S.M. (2017). Toward an integrated model of software piracy determinants: A cross-national longitudinal study, Telematics and Informatics, 34(7), 1113-1124. Lee, S., Lee. S., & Chan-Olmsted, S.M. (2017). An empirical analysis of tablet PC diffusion, Telematics and Informatics, 34(2), 518-527. Chan-Olmsted, S.M., & Shay, R. (2016). Media branding 3.0. In Siegert, G., Förster, K., Chan-Olmsted, S., & Ots, M. (2016). Handbook of Media Branding. Berlin, Germany: Springer. Siegert, G., Förster, K., Chan-Olmsted, S.M., & Ots, M.(2016). Handbook of Media Branding. Berlin, Germany: Springer. Chan-Olmsted, S., & Shay, R. (2016). Understanding Tablet Consumers Exploring the Factors That Affect Tablet and Dual Mobile Device Ownership. Journalism & Mass Communication Quarterly. Hwang, K., Chan-Olmsted, S.M., Nam, S., & Chang, B. (2016). Factors affecting mobile application usage: Exploring the roles of gender, age, and application types, International Journal of Mobile Communications, 14(3), 256-272. Chan-Olmsted, S. M, & Shay, R. (2016): The New Digital Media Value Network: Proposing an Interactive Model of Digital Media Value Activities, Icono 14, volumen 14 (2), pp. 46-74. doi: 10.7195/ri14. v14i1.986 (invited). Guo, M., & Chan-Olmsted (2015). Predictors of social television viewing: How perceived program, media, and audience characteristics affect social engagement with television programming, Journal of Broadcasting & Electronic Media, 59(2), 240-258. Jang, W., Ko, Y., & Chan-Olmsted, S. (2015). Spectator-based sport team reputation: Scale development and validation, International Journal of Sport Marketing and Sponsorship, 16(3). Chan-Olmsted, S.M., & Shay, R. (2014). The Emerging Mobile Media Market: Exploring the Potential of Tablets for Media Content Consumption. Palabra Clave, 17(4). Jung, J., Kim, Y., & Chan-Olmsted, S. (2014). Measuring usage concentration of smartphone applications: Selective repertoire in a marketplace of choices. Mobile Media & Communication, 2(3), 352-368. Chan-Olmsted, S.M., Cho, M., & Lee, S. (2013). User perceptions of social media: A comparative study of perceived characteristics and user profiles by social media, Online Journal of Communication and Media Technologies, 3(4), 149-178. Jung, J., Chan-Olmsted, S.M., & Kim, Y. (2013). From access to utilization: Factors affecting smartphone application use and its impacts on social and human capital acquisition in South Korea, Journalism and Mass Communication Quarterly, 90(4), 715-735. Chan-Olmsted, S.M., Cho, M., & Yim, Y. (2013). Media branding through social networks: How perceived social network use by media brands affect audience-brand relationship. In Friedrichsen, M., & Mühl-Benninghaus, W. (Eds. ),Media Management and Social Media Business: Value Chain and Business Models in Changing Media Markets, Berlin, Germany: Springer Science & Media Business Publishing, pp. 735-747. Chan-Olmsted, S.M., Rim, H., & Zerba, A. (2013). Mobile news adoption among young adults: Examining the roles of perceptions, news consumption, and media usage, Journalism & Mass Communication Quarterly 90(1), 126-147. Cha, J., & Chan-Olmsted, S. M. (2012). Relative advantages of online video platforms and television according to content, technology, and cost-related attributes, First Monday, 17(10). doi:10.5210/fm.v17i10.4049. Cha, J., & Chan-Olmsted, S. M. (2012). Substitutability between online video platforms and television, Journalism and Mass Communication Quarterly 89(2), 261-278. Jung, J., Chan-Olmsted, S., Park, B., & Kim, Y. (2012). Factors affecting e-book reader awareness, interest, and intention to use. New Media & Society, 14(2), 204-224. Lee, C., Kim, J., & Chan-Olmsted, S. M. (2011). Branded product information search on the Web: The role of brand trust and credibility of online information sources. Journal Of Marketing Communications, 17(5), 355-374. Chan-Olmsted, S. M., Lee, S, & Kim, H. (2011). Competitive strategies in Korea mobile television markets: A comparative analysis of mobile operators and television broadcasters. International Journal of Mobile Marketing, 6(1), pp. 77-93. Chan-Olmsted, S. M., & Guo, M. (2011). Strategic bundling of telecommunications services: A comparative study of triple-play strategies in the cable television and telephone industries. Journal of Media Business Studies, 8(2), 63-81. Chang, B., & Chan-Olmsted, S.M. (2010). Success factors of cable network brand extension: Focusing on the parent network, composition, fit, consumer characteristics, and viewing habits, Journal of Broadcasting & Electronic Media, 54(4), 641-656. Kim, M., Heo, J., & Chan-Olmsted, S.M. (2010). Perceived effectiveness and business structure among advertising agencies: A case study of mobile advertising in South Korea, Journal of Media Business Studies, 7(2), 1-20. I conduct research because I am curious. I am always curious about how and why people use emerging media, and how and why organizations succeed or fail in delivering these media. I began my research journey with a focus on media economics, especially in subjects related to industrial organization, strategic competition, and mergers and acquisitions in the context of media industries. Over the last 30 years, I have studied broadcasting, cable television, satellite television, telephony, IPTV, streaming video, mobile television, social media, and mobile apps industries, utilizing mostly quantitative research methods and integrating theories from marketing and industrial economics with those in mass communication. In more recent years, with the game-changing arrival of the Internet and mobile technologies that gave consumers the power of control and content generation, my research has shifted to examine more frequently media consumers rather than media firms. Though all of my studies in media consumption are investigated with an emphasis on their strategic implications in the marketplace. In general, my research touches on the impacts of technology on media brand/strategic management; digital, social, and mobile media consumer and marketing strategy; development and marketing of mobile media content; cross-platform audience behavior; and branding via social/mobile media, especially in the context of young adults. I have also begun to incorporate more qualitative research methods because of the fluid nature of media habits amid rapid technological changes. My recent research projects involve the examination of AI in the media industry and the consumption of various emerging mobile and IoT devices/platforms.